Daily to-do list I would like: be happy, have fun, live. Such a lovely to do list. I would add only two more things: play and then take a mid-afternoon nap. Now that is a delightful day! The type of day a carefree child enjoys, now those are wonderful memories. OMG, how could I have forgotten a mid-afternoon nap! Ledia, I’ll add that to next Saturday’s post! Naps are so glorious aren’t they! I’m tired just reading your comment (after stroll with dog). Do I need to re-post this tomorrow for you Sarah? I would normally try and do #1, then some #2, but for tomorrow, I aspire to do #3 and kick back and watch some sports 🙂 Have a great Saturday! Sounds like a good plan Tim. Have a great weekend. No, not bad at all…I get A+. I hit all 3. 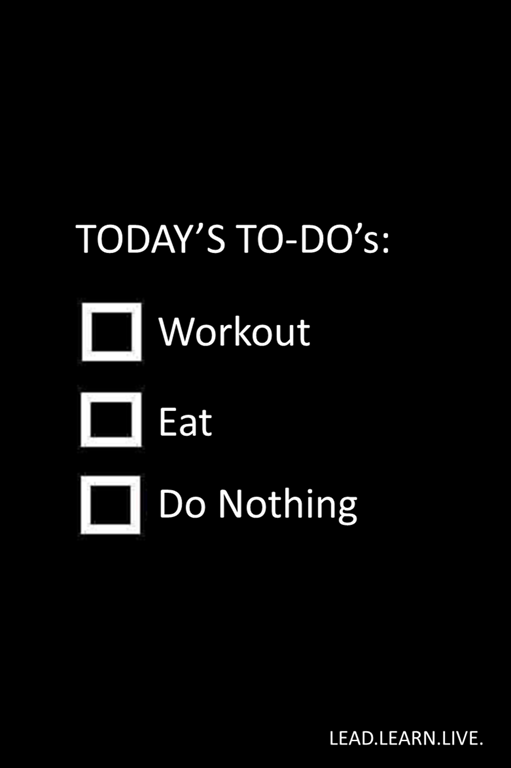 Great list, I just have a hard time with the do nothing…but I do like an afternoon nap so that is my do nothing time. Its a perfect list! I excel at doing nothing. Next week, thanks to Ledia, Afternoon Nap is a MUST add to the list. I thought I had a short list but I think you’ve managed to get inside of mine and nail it Rick! I hate doing nothing, necessary to recharge no doubt. Perfect for a Sunday summer day!